As this year comes to an end Umbrella is reflecting on what an intense and busy year it has been. Following the Great Earthquake Umbrella jumped into action. We realized that the uncertainty and dangers facing the children of Nepal put them at even great risk after the disaster. Umbrella did not want to let even one child become a victim of trafficking if we could help it. These are the actions we took as part of our Earthquake Response Program. 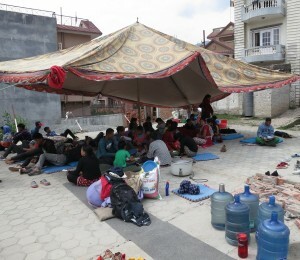 Our children, youth and staff needed a place to live after the earthquake and hence we created Camp Umbrella where everyone could live safely until the aftershocks quieted down. This involved tent rental, buying extra food to feed children, staffs, and youths. It also included transport costs for tracing children and youth. There were office materials damaged that had to the be replaced. We had to place water tanks that had become cracked or unsafe. There were damaged walls at Annapurna house and we had to fix a broken bathroom at Gauri Shankar. All in all, through your donations and the hard work of all our staff and kids, we were able to make this safe space as comfortable as possible, while making sure our permanent Umbrella structures were fixed and safe for the future. We were able to support 45 reintegrated children and youths, while 95 youths received 2000Nrs each right after the earthquake to cover increased costs. We are proud to say that literally the next day after the earthquake we had staff risk their lives to bring material to their home villages. Umbrella allowed our staff to travel to their home villages as needed after the earthquake as family took precedent over work. We purchased 87 tarps and distributed them in the villages of our staff so that people could be out of the elements as soon as possible. Youths and children’s families who lost their homes in the earthquake received support in cash or materials for the rebuilding of a temporary emergency shelter. The youths attended a workshop on how to build temporary shelters and were given materials and cash to do so. They also received cash and materials for selecting one neighbour who needed it the most to also build a structure for. In these way we support more than just our beneficiaries but part of the community as well. Actions like this allow us to build trust in communities and this is hugely important for us to be able to work effectively. Umbrella was also able to finance the transportation costs that this required. We have supported five rural schools so far with 176 desks and benches and another 38 whiteboards. 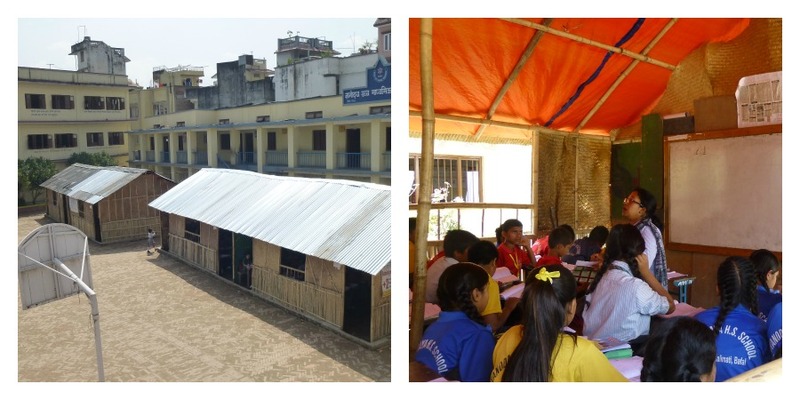 Umbrella was able to support the school our children attend, Gyanodaya, with the building of two Temporary Learning Centers. Plans are in place for another 6 schools to be supported- desks and benches are already ordered for them. 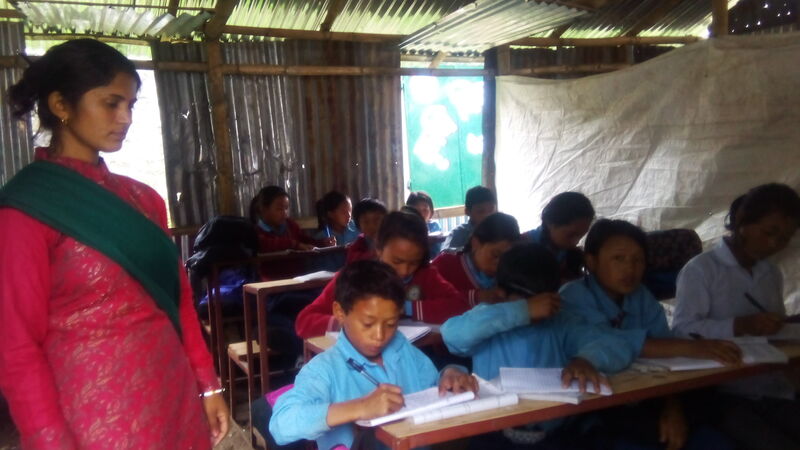 Overall we supported five schools in Rasuwa for 1019 students, and 100 students in Gyanodaya school here in Kathmandu. We also gave 500 mosquito nets to the displaced people of the Betrawati IDP camp. 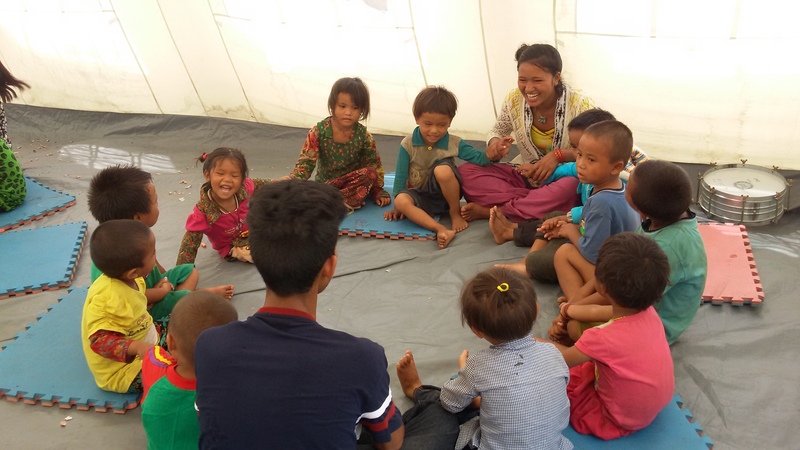 In partnership with UNICEF Umbrella ran the following activities: We set up six Child Friendly Spaces to support the displaced children of the Rasuwa and Nuwakot Districts. 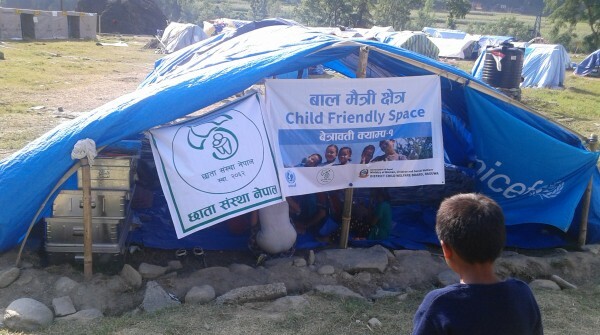 Shelters in Rasuwa and Nuwakot were created for separated children to be taken care of. We did assessments and awareness raising in 79 VDCs and one municipality, and also ran help desks and supported the local DCWB. . Almost 3,500 children and their families were given assistance to build temporary shelters, receive necessary healthcare, educational materials, and proper food, to survive during this difficult time. Umbrella committed to spending 20,000-30,000Euros running these activities and the staff expenses that went with them. We are currently stocking up our storeroom to have provisions in place for the next disaster. This will include extra medicine, water, food, and cooking supplies. Of course, it will also include the proper gear to spend another two weeks outside if it should come to that. Once again things such as these are not cheap and without the generous support of our donors it would be impossible for us to respond this way. As we enter the new year we are not stopping with this important work. We have earthquake rehabilitation projects planned in the form of family reunification support for up to 32 children and training for kids formerly rescued from child labor. These projects will also include our family preservation project in Rasuwa. We have many children who we have reunified in Rasuwa and it will always be an important place to Umbrella. Please watch this space for a dedicated page on our Earthquake Response Program with even more details including our financials regarding this program.